It was in 2000 when Bay Street Shopping Complex first opened its doors to the public, offering a multitude of shopping, dining and entertainment experiences. Seventeen years down the line, it is marking its 17th anniversary today with a day-long birthday celebration open to all. In true Bay Street style, the celebrations will be full to the brim with events and entertainment. The day kicks off at 11am with Mass at St Rita chapel. The Christmas Hut and Ice Rink will be operating from noon in aid of L-Istrina. One will also have the opportunity to meet several popular Maltese personalities. 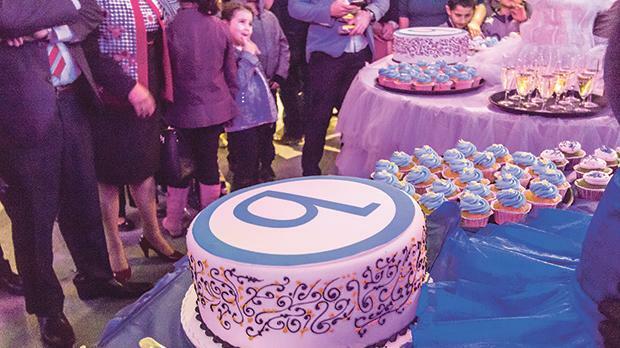 In the evening, the complex will be immersed in the spirit of celebration, culminating in the cutting of the cake by the two Bay Street directors and the distribution of cupcakes.